You always need more storage. We tried to come up with a few clever ideas of our own. 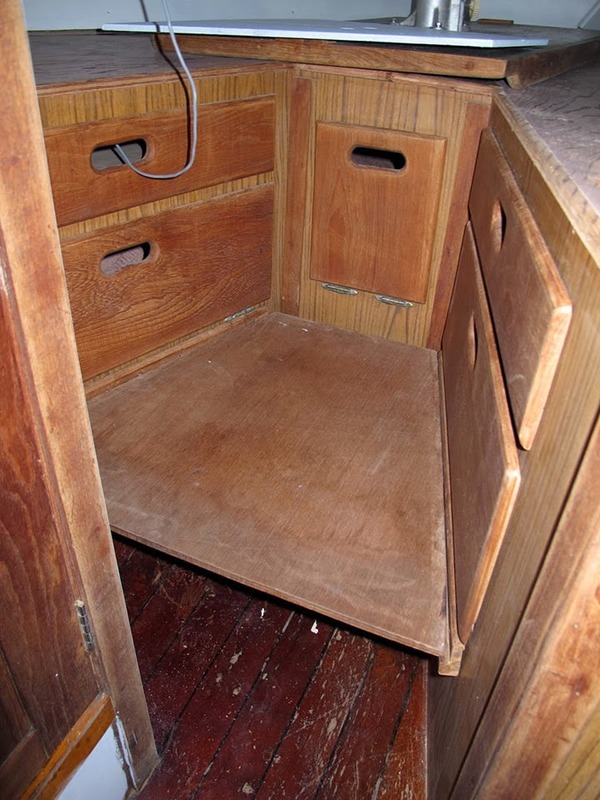 There was already a little storage cubby behind our sink, but it was really shallow and not tall enough to put much in. It extends into the massive lockers in the cockpit so we had plenty of room to make the cubby larger. It also gave us a chance to run the strip LED lights through it to light it up (totally necessary of course) and we use the backside of it to hang stuff in the locker. We added a shelf were the oven used to be. We will eventually install a cook top on that shelf, but are using a butane burner in the meantime. Under that shelf we hung a rubber coated wire rack that holds the cutting boards and/or dish towels. We'll add a few plastic baskets to hold the pots and pans so they don't go flying while at sea. We removed our settee and added this new cabinet with two shelves inside to hold clothes, etc. Also, adds a ton of extra counter top. See about that project here. 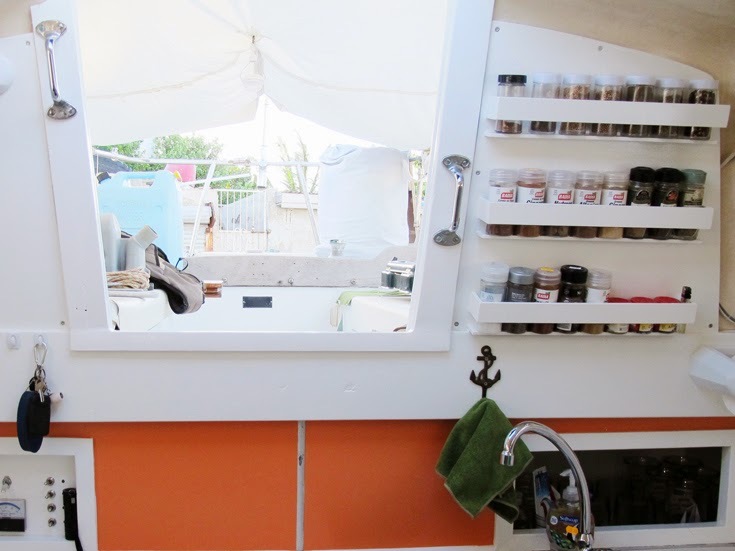 Matt made me a spice rack that fits on side of the companionway. It holds 24 containers! And he thought I'd never fill it up! 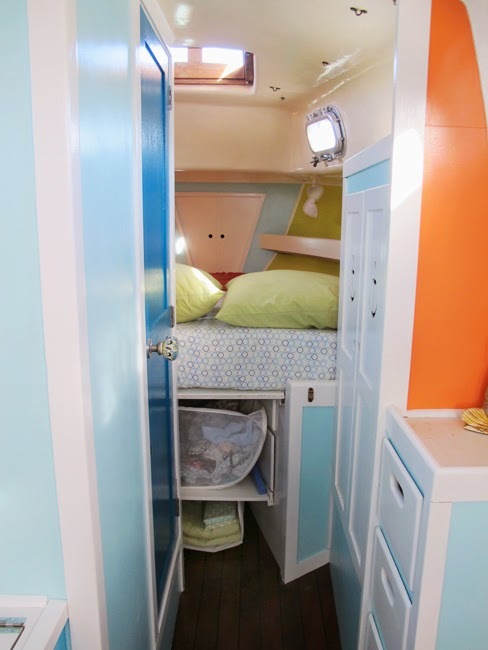 We added this shelf in the v-berth area to break it up and hold more stuff. You can see it all finished here. The shelf holds our dirty clothes hamper. Under the shelf was still a bit of space so we made use of it. You know those collapsible hanging clothes holders that are like stacked squares? Well we had one of those that we've dragged around the world while traveling (always handy when living in random places). I cut the bottom section off of it and Matt screwed it to the shelf. Now it holds the extra sheets and pillow cases. One of the other things that we drug around the world with us was this shoe hangy uppy thing. They are great for hanging on doors or wherever and can hold shoes, obviously, but also bathroom stuff (lotion, nail polish, band-aids, hair ties, etc.) 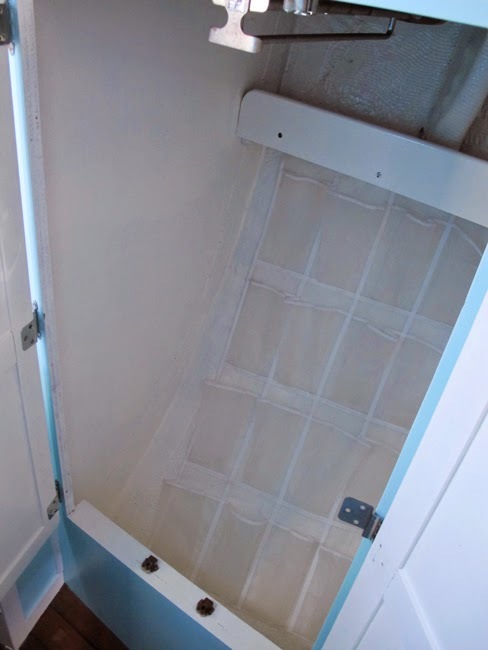 I put it to good use on the boat by screwing it into the bottom of the shelf in our closet and then just velcroing the back to the wall. 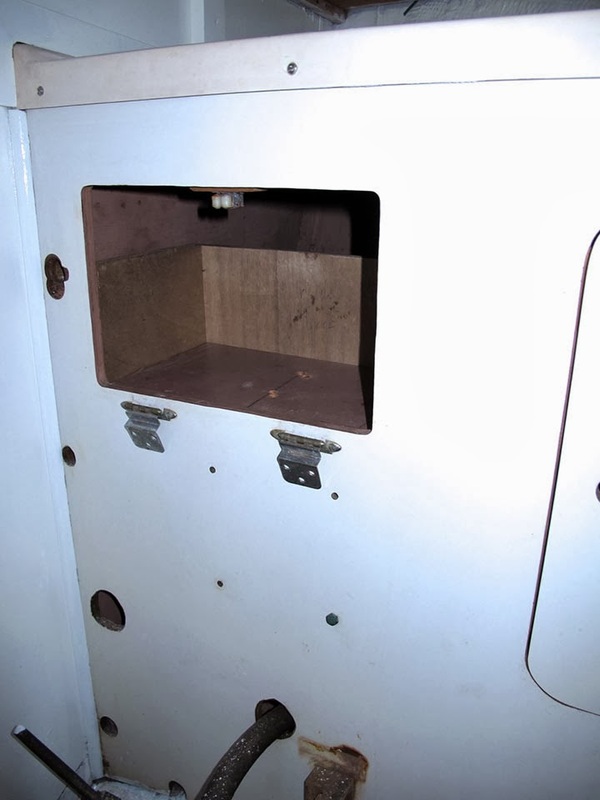 In the head, this cabinet was already here, but was just a door. It opened to the space under the sink, but didn't have a shelf or anything so Matt built this box so the space is actually usable and things don't go missing. A bonus that we discovered later is that when you open the other cabinet to the side of it you can hang cleaners bottles by the trigger off the side of the new box. Handy! Matt also built an ottoman that sits perfectly under the desk area. He made wide enough to fit paper towels as a handy space to stash them. It works as a chair for the desk, an ottoman for the couch, or a table top for the couch area. I realized I don't have a picture of it yet so will take one and post it later! 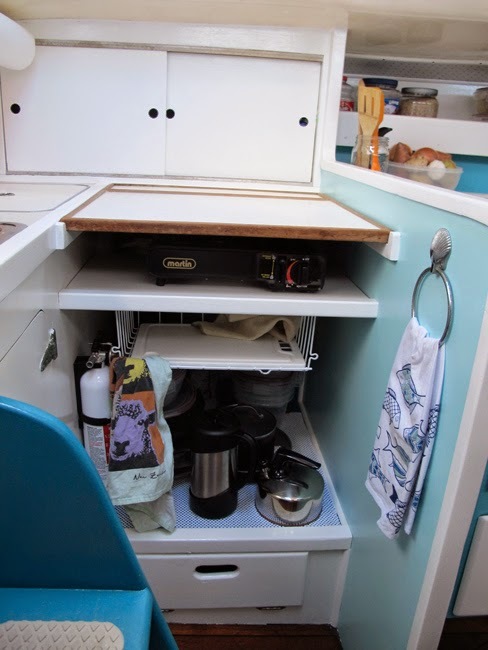 Also, we love love using those plastic drawers/trays to keeps stuff tidy. Great for on the shelves in the bathroom, for folded clothes/bikinis in the cabinet, and for keeping food organized in the fridge. They don't really make extra space, but by keeping your crap organized you'll have loads more room! 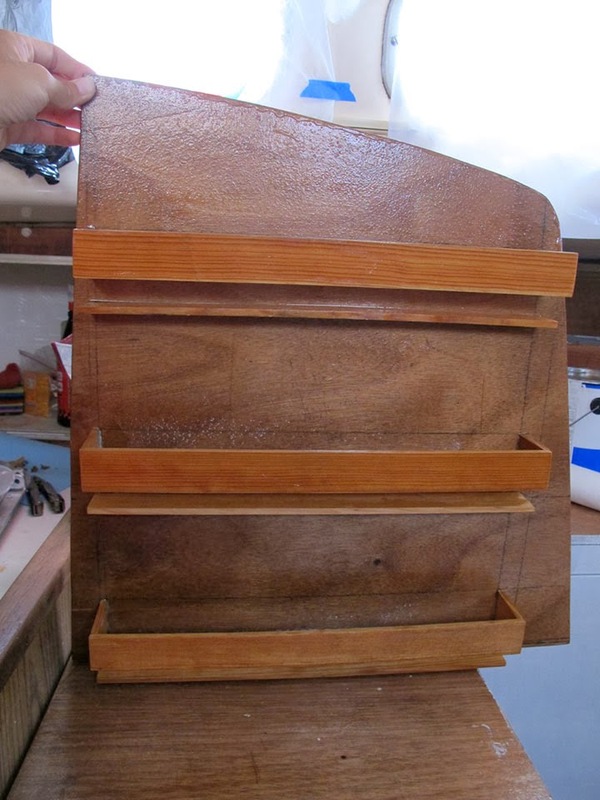 Great Idea on Extra Storage method ...Thanks for sharing !!!! 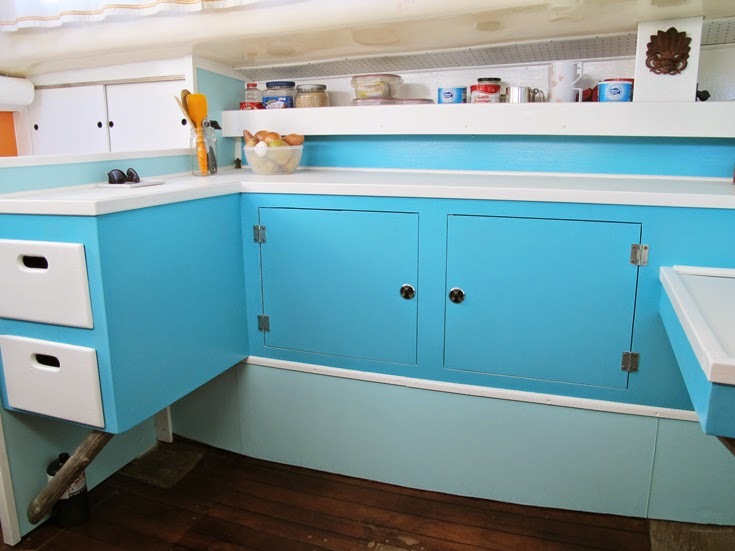 These are definitely some innovative ways of squeezing some extra storage space out of a house. And much cheaper than paying for self storage units Omaha!